We have to be real with ourselves. If you are the only one in the room then tell no lies. We can all be the top of our industries, top salesmen, top entrepreneurs, top scholars, top athletes. If we are then abled to be hindered by envious pink people or blood thirsty police what does "top" even mean? You only own what you can protect, including yourself. Let's be real, we can OWN everything today, it's yours! The only thing that must change is your mind, your narrative, and the questions you ask. Next #2RAW4TV we will ask the right questions to dispel the deceit, 101 QUESTIONS THAT WILL DESTROY WHITE DECEPTION. Joining us will be prolific writer and president of the Harvest Institute @dr.claudanderson. 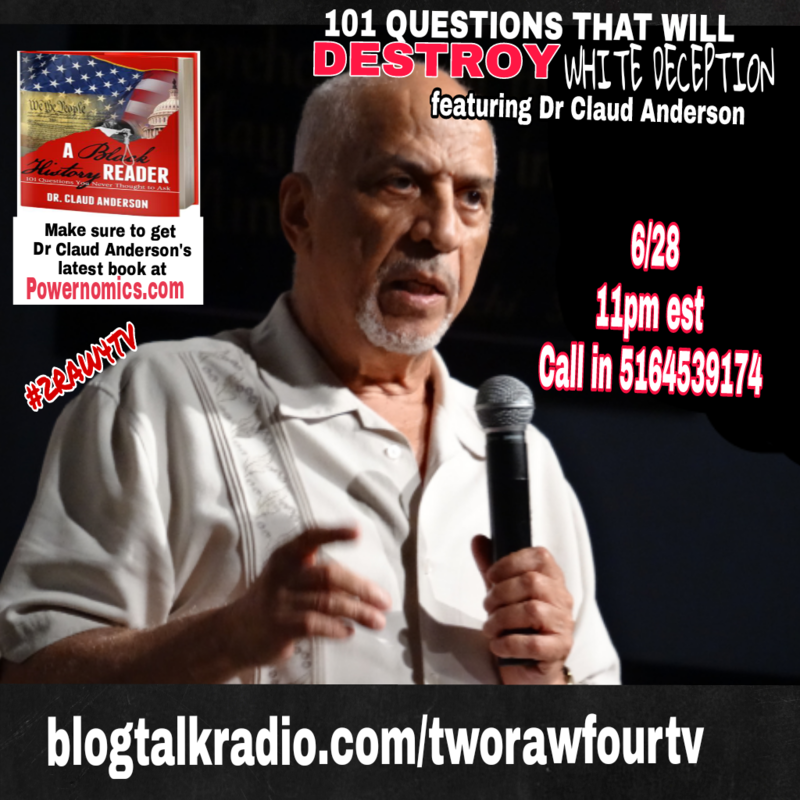 He will discuss his latest release, A Black History Reader: 101 Questions You Never Thought To Ask and discuss his blue print for Black empowerment. Mark your calendars, set your alarms, and tune in!